Home > News > Australia's getting Hatsune Miku VR! Ohboyohboyohboy! The Australian Censorship... sorry, Classification, Board, is not my favourite group of ideologically-driven government body. But sometimes the organisation has its uses. For example: today the Board confirmed that Hatsune Miku: VR Future Live is coming to Australia. 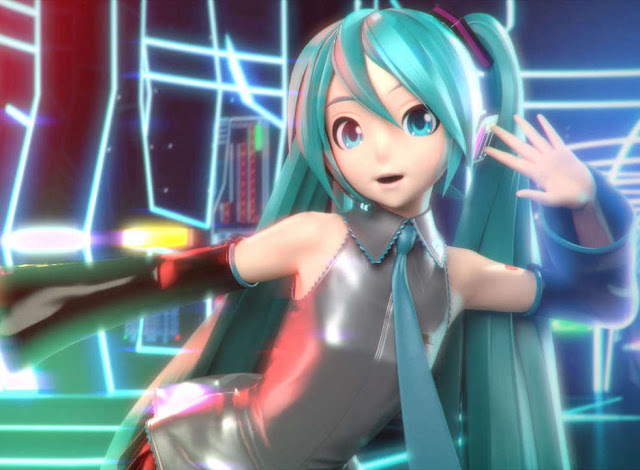 Related reading: Matt's review of Hatsune Miku: Project Diva Future Tone on PlayStaiton 4. It's a... big review. Okay, perhaps that's a slight exaggeration; it has only rated the game for release in Australia. But what that means is that SEGA submitted it to the very expensive classification process, and it's incredibly rare for a game to get a classification here and the not be released. 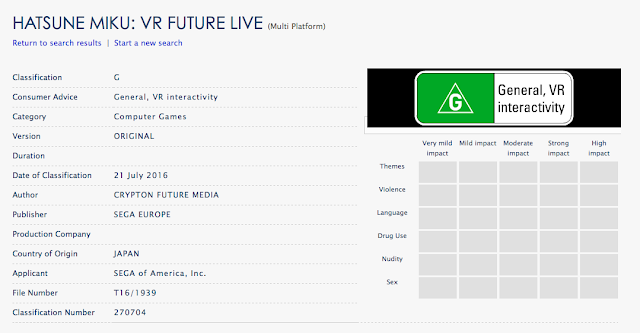 The game got a G rating, which means that as far as the censors are concerned, this Miku is perfectly wholesome for the whole family to enjoy. Not a shred of objectionable content in this one - so cop that, all you critics and gamers that still insist that being a fan of hime is perverted. So rejoice! Us Aussies will be playing with Miku in all her full VR glory almost before we know it!